Email marketing should be a primary marketing channel for your small business. We're going to show you why it's important and how to get started in this article. As Of 2017, The Current World Population Is 7.6 Billion And There Are 3.72 Billion Email Users. These Numbers Aren't Crazy, They're Insane! Almost Half Of All People Living On Earth Are Email Users. Translation... Email Marketing Can Be A Powerful Tool In Helping Your Small Business Reach Your Target Market. Why is email marketing important for your small business? I have a few reasons why it has the potential to be a game changer for you and help drive your growth. Depending on the number of subscribers you have on your email list, most mainstream email marketing systems are less than $50 a month which is an incredible value. Any email marketing system worth using will give you a number of data points to analyze if you so choose (which you should). At a minimum you'll get information for open rates and click rates to give you an idea how many subscribers are engaging with your email communications. It doesn't take a lot of effort to create and send email messages...we do it every day. Email marketing is incredibly convenient compared to many other marketing channels. It is actively used by the majority of your customers. We opened this article with the statistics that prove this and those were worldwide stats. If you look at the US, the percentage of email users vs the total population is over 70%. With more advanced email marketing systems you can tag and segment subscribers based on how they signed up and the activities they take. This allows you to really drill down on your email list and send messaging that is hyper-relevant to each subscriber. The more relevant your message is the more effective it will be. It is accessible via mobile devices. 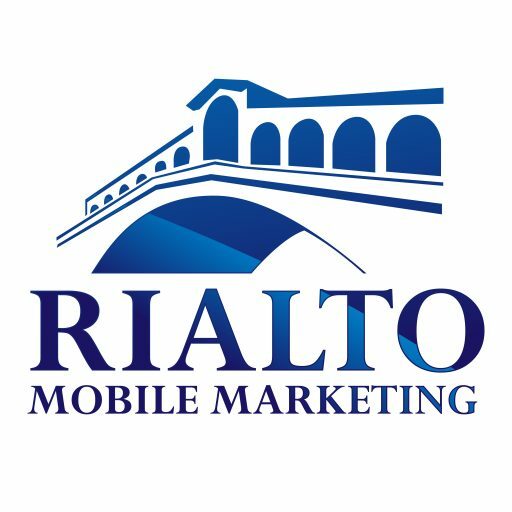 Mobile is the way of the future and email is readily available on smartphones where users are reading and sending email all the time. The more accessible your messages are the higher likelihood they will be read. How to get started with email marketing. I have put together a list of simple yet effective steps you can take to implement a solid email marketing strategy. 1. Choose an Email Marketing System. It is very important to choose the right email marketing platform for your small business. There's a lot of email marketing systems out there. The first thing to consider is the features. At a minimum, the system you use should have autoresponders, opt-in forms, strong reporting, mobile/responsive templates, and the ability to segment/tag subscribers. Next are the fees. You want a system that fits your budget and can grow with you as your subscriber list becomes larger. Here are some of the most popular email marketing platforms available today. Personally, I've used MailChimp, Mailerlite, and ActiveCampaign. Check them out and choose the one that fits you best. It's hard to go wrong with any of these. If you haven't already, start building an email list of current clients and prospects. The simplest way to do this is to add a sign-up form to your website. If you feel like taking things to the next level, you can create a free report, cheat sheet or checklist that is valuable to your target market and offer that on your website in exchange for email addresses. If you've got a decent following on social media, I'd recommend implementing some strategies to get your social media followers to opt into your email list. Unlike social media followers or fans, your email list is an asset you control and own. 3. Determine the purpose or goal of your email marketing. Ask yourself "What do I want to get out of this?". Think about how you can add value to your audience via email and become a trusted resource for them. It's important to determine what type of information you will send to your email list and how frequently you will send messages. How can you promote your business while adding value at the same time? Answer this question and you'll have a winning strategy. 4. Write enticing subject lines. Your recipients should know immediately what to expect as soon as they see your email, so do your best to make the subject of your email crystal clear. The from label should also clearly show your name or company. Your subscribers want to quickly know who sent the email and if it is relevant to what they want and need. For a more in-depth look at writing powerful subject lines check out this article, Tips for Writing Powerful Email Subject Lines. 5. Keep email content simple and concise. Nothing beats an email with useful and relevant content that's easy to read. A lot of companies commit the mistake of putting so much information in their email messages that subscribers become overwhelmed, which means most of them will not read the email. Keep your words simple and make your content easy to read. Bulleted/numbered lists and bold titles will help make your email easier to digest. Your subscribers only have a minute to spare so get to the point quickly. Over the top graphics and pretty design really aren't that important. Simplify your design to make it more catchy. Here are some tips you might find helpful on email marketing design. 6. Don't forget a call-to-action (CTA). You need to encourage subscribers to take the actions you want them to take. Calls to action will help you accomplish this. A call to action is usually an image or line of text that prompts someone to take the next step. The action you want customers to take could be to sign up for a webinar, get a special offer, attend an event, etc. A CTA can be placed anywhere in your email marketing message, but you should always have some type of call to action. 8. Proofread before you hit send. Double check any links to websites or blogs are correct. Your images should look impeccable too. Keep in mind your content reflects your image and reputation as a company. ​Speaking of reputation...have you ever heard of online reputation management (ORM)? It's a really important strategy for increasing social proof and converting leads to customers. Learn How to Instantly Jump Start Reputation Management for Your Small Business. This step is like the famous quote "practice makes perfect". Retain what works and improve on what doesn't. Segmenting can also help you refine your email marketing campaigns. It's is a process of breaking down your audience into small subsets based on things like their characteristics, needs, and wants. Identify what's working with your campaigns and what's not. This is a constant trial and error process. Over time the incremental tweaks you make will have a huge impact on the effectiveness of your campaigns. This is as simple as repeating the process to achieve your marketing goals. Industry Stats - How often do your competitors send emails? What's their return-on-investment? Nature of your products and services - Is your service seasonal? How often is information changing? Nature of the email - Is your email about a promotion? Launching a new product? Is it strictly helpful, value-added information? Learn from each email marketing campaign you send and don't forget to have fun. Did you find this article helpful? Feel free to comment below and share.